Why visit a real zoo when you can see images of all the animals here? Here are some examples of our wildlife (and not so wild) photography. 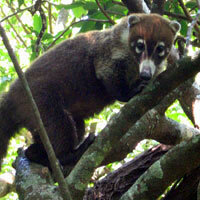 After some searching, we have discovered that it is a Coati.